There's a new development in the mobile technology world that could potentially change the way shoppers shop and companies do business forever. This new device, a beacon, is a small radio transmitter sensor that has the capability to send signals and messages to mobile devices in their vicinity using Bluetooth technology. While beacon technology is now being used by countless organizations (including schools, museums, sports teams) for convenient information-sharing purposes, it is making the biggest splash in the e-commerce world, where it affords retailers and marketers the ability to send targeted messages directly to potential customers at the most opportune of moments. 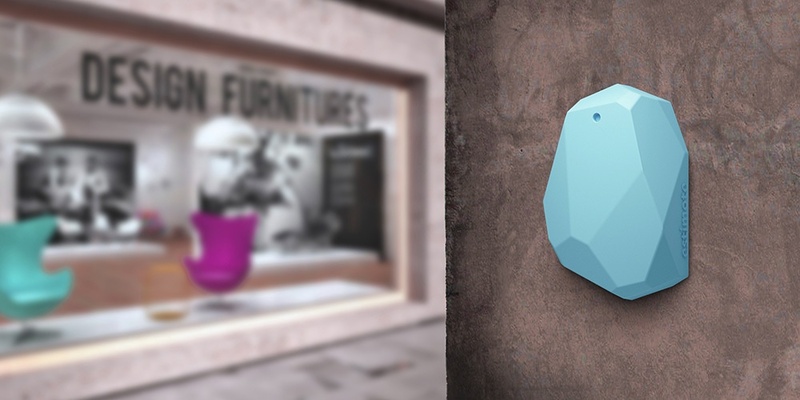 A short video by Estimote showing the possibilities of Beacons. Beacon technology is currently being developed by several companies, and one of the leaders is Estimote—a startup that has not only developed some of the best beacon hardware around, but is also perfecting a beacon software platform that is easy for individual developers to work with and, in turn, create their own services for. To learn more about some outstanding ways that beacons are being used in the real world, check out the list below. At Bierhaus, a popular German biergarten in Mountain View, California, customers can now leverage beacon technology in order to order and pay for food and drinks via their smartphones from their table. The order and pay function at Bierhaus uses Estimote beacons placed around the restaurant, Apple Pay, which saves users credit card information, and Clover, a point-of-sale platform that is cloud-based. Beacon technology has helped streamline service at Bierhaus and allow customers to ask for what they want and pay without waiting for their servers to be free. Blinq is a new dating app being developed in Switzerland that allows users to determine whether their potential dating matches are located at the same bar or nightlife venue as them. Multiple bars and clubs throughout Zurich have agreed to be outfitted with Estimote beacons, which then alert users (who have opted in) if a potential dating match for them is already in (or comes into) the bar. The company is also developing the B2B aspect of the app, which would allow companies to message people in the vicinity of a bar and encourage them to come in and sample a specific product or receive a particular discounted drink. One of the first U.S.-wide beacon marketing strategies was undertaken by the family of food brands, Hillshire Brands. Hillshire Brands used beacons (by developer InMarket) in grocery stores across the country to notify shoppers via several different apps (including Epicurious and CheckPoints) about the launch of its new product, American Craft Sausage Links. After analyzing the results of Hillshire's beacon use, agency BPN found that more than 6,000 people received messages about the sausage and that the product's purchase intent increased by 20 percent. At the U.K.-based Clevendon School, student developers were able to create a notification and resource system throughout their school using Estimote Beacons and their own Handbook App. The beacons allow students to receive particular notifications about a class or resources they will need when they enter a particular classroom or part of the school. Last November, Orlando Public Library decided to make a big step and innovative a way to inform library's visitors about new events and services. As a result they've implemented BluuBeam, an Orlando-based service that uses iBeacon technology to send location-triggered information. Visitors who download the app during a walk through the library building and searching for a specific book, receive alerts informing them about connected events. We also recommend browning through Estimote's beacons usage showcase for more inspirations! As beacon technology becomes more refined and advanced, more and more companies are going to utilize it to make targeted, strategic pitches to potential customers—particularly due to its record of success. Business Insider reports that more than 50 of the top 100 retailers in the U.S. are testing beacon technology, and it predicts that more than 4.5 million beacons will be in use by the end of 2018. If you are looking for a tech-forward method to help boost your sales or improve your company's efficiency, there's a good chance that beacon technology is the way to go. Want to use Beacons in your project? Contact our expert team of developers at netguru, and we can help you get started!